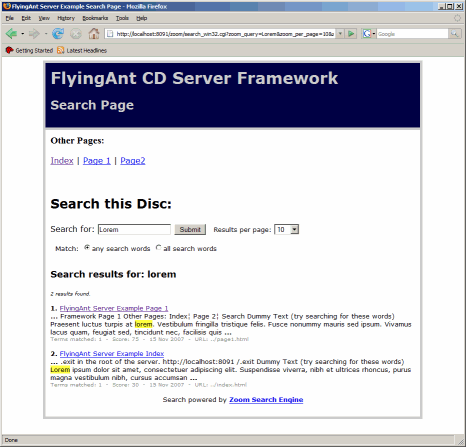 FlyingAnt Server example framework running on Windows. 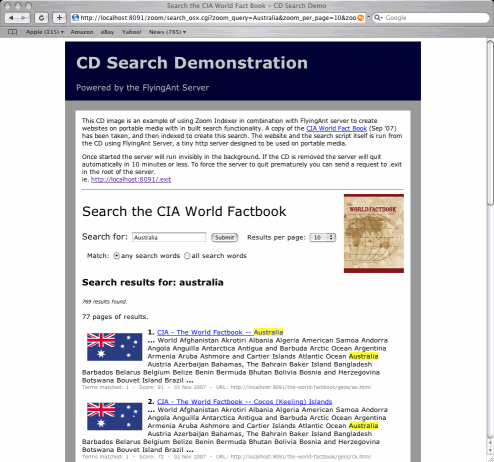 CIA World Factbook example running on Mac OSX using FlyingAnt. 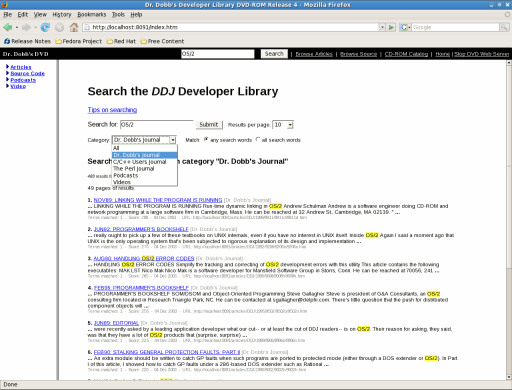 Dr. Dobb's Developer Library DVD running on Fedora 7 using FlyingAnt.